Here is my take on a veggie meatball recipe. It uses pretty standard ingredients and it's easy to make. 1 pkg Presidents Choice "World's best meatless meatballs"
Mix all of the sauce ingredients together and heat over medium until bubbling. Meanwhile, fry the veggie meatballs and onion in the oil until browned and hot. Combine and serve or refrigerate until needed. Several months ago I purchased a holster for my Blackberry at a BellAliant store in Halifax. 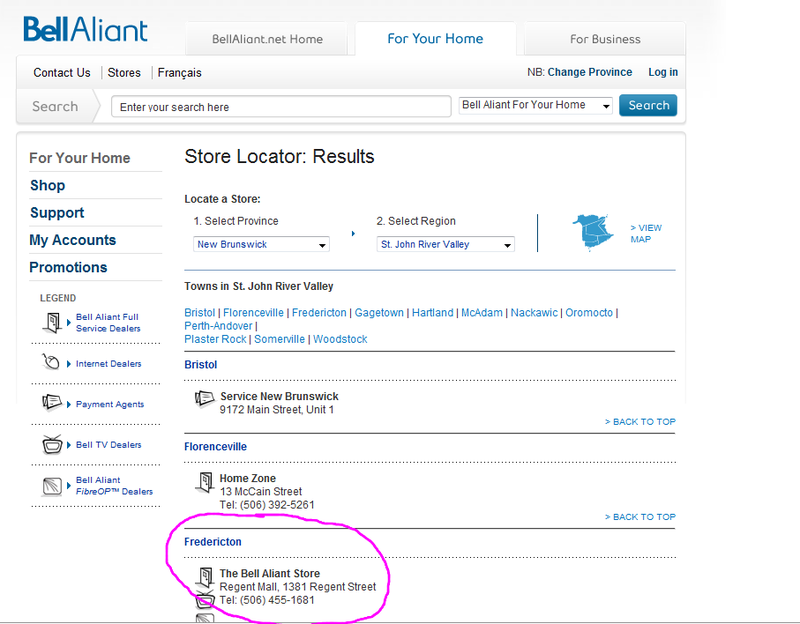 Even though I am from Fredericton I figured, a BellAliant store is a BellAliant store. Right? That brings us to today. My holster is broken. It is also under warranty. One would assume that even though I'm not in Halifax these days that I should still be able to walk into a BellAliant store and get myself a replacement. Right? Nope. It seems that the BellAliant branded store in the Halifax Maritime Center is actually a "Downeast communications" store in cheap clothing. As well, the BellAliant branded store in Fredericton Mall is actually a Cox Electronics in drag. So, guess what? Even though both of these stores are branded with all of the glory of BellAliant, and you would have a hard time finding logos of either Cox or Downeast in these stores, you can't return a product from one to the other. 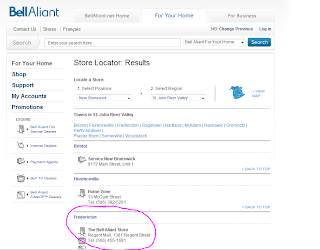 These stores are identical in design and it is easy to be mislead into thinking that they are actually BellAliant corporate stores. Nope. This strikes me as very misleading to customers. BellAliant, please stop your ridiculous branding strategy and let you customers deal with you. Or...at least let us know who we are dealing with. Am I the only one that has had a crappy experience with these outlets? Comment below. I bought a copy of Corel VideoStudio for a video that I was doing as followup to a company marketing event that we had done. I was looking for a quick and easy editing suite that would give me the flexibility for some creativity but that wouldn't bog me down in the details. 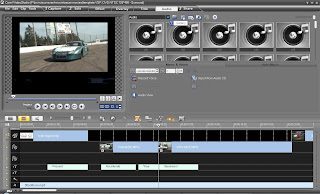 I shopped around a bit and read some reviews and decided on the Corel VideoStudio product. Overall I have been happy with the product. I've found it quiet intuitive and pretty easy to find my way around. Price - At $70 you can't complain. The library doesn't let you add descriptions for the video clips. This would have been very helpful given the hundreds of clips that I had for this project. The story board doesn't let you leave blank spaces in the main video line. This was a serious problem for me in the project since I needed to customize 50 different copies of the same video. The transition effects are cheesy. The "Painting Creator" is pretty well useless. Overall I am happy with the product and I would recommend it for small projects.